Whether you’re a regular movie buff or planning a romantic night of Netflix and chill, being connected to all the latest in entertainment can be gruesome. With dozens of streaming services all around and thousands of movies and TV shows to choose from, you need to make movie night better with Android. With several apps to help you select the right movies, incredible streaming services like Amazon Prime Video and Netflix, Android has so much to offer. 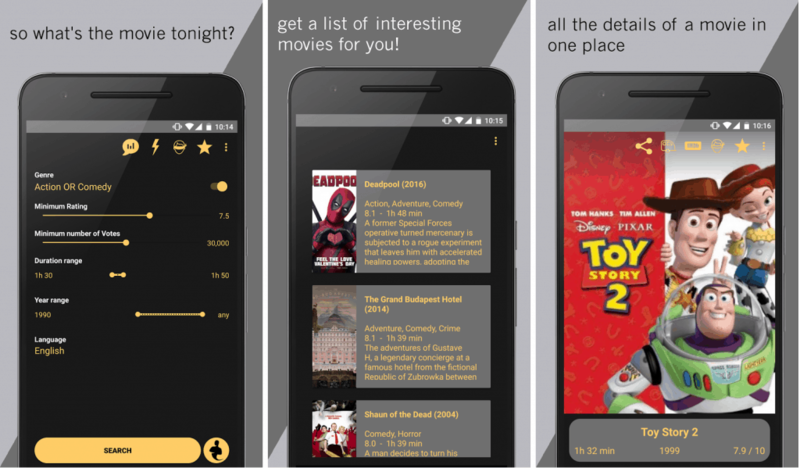 So here are a few apps that can help you plan and execute the perfect movie night better with Android. If your significant other and you always have trouble finding the right movie every weekend, maybe a smart app like Movie Genie – Suggest Movie. Essentially, you set up the parameters based on genre, rating, year and more, and the app comes back suggestions. Moreover, it also offers you trailer for the film and ratings from IMDB and Rotten Tomatoes to help you get the right movie for the night. If you have given up the life of buying movie DVDs and exclusively use online streaming services, this is the app for you. With the help of “Can I Stream It?”, you can simply type in the name of a movie or TV series and find out where it is streaming. 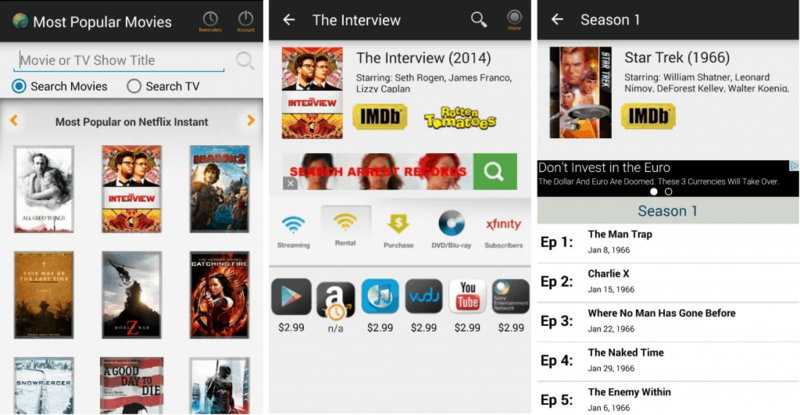 If the movie or TV series is available on any of the streaming services like Netflix, Amazon Prime, Epix or Hulu Plus, then the app will let you know make movie night better with Android. 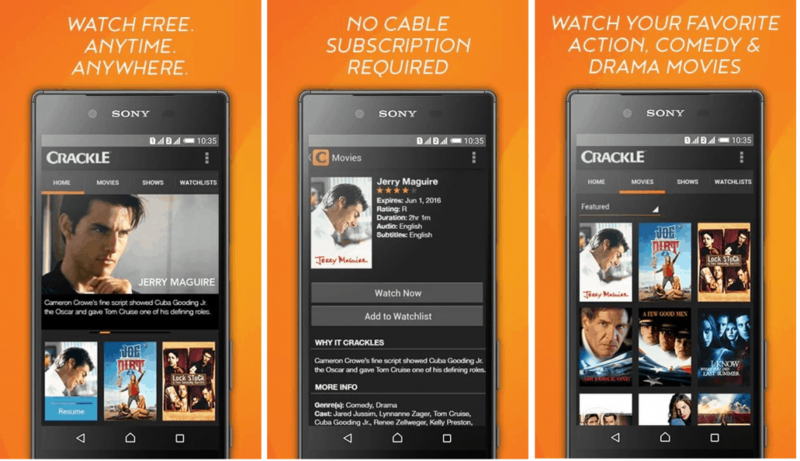 If you are looking for a new genre in entertainment, or just too broke to spend money on premium streaming services, Crackle is here for you. Now owned by Sony, this streaming service brings you great classics and comedy movies, with several exclusive contents like Jeopardy and Comedians in Cars Getting Coffee. The service is completely free and all you have to do is return is sit through some commercials, so why not? Have you tried making your movie night better with Android by using the apps given above? Do let us know which is your go-to app service for an entertaining night on Android.